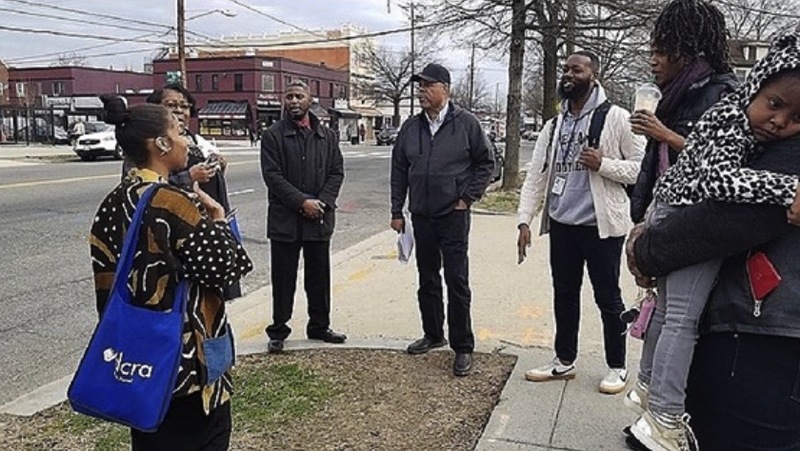 On Friday, March 29, 2019 Congress Heights Community Training and Development Corporation (CHCTDC) joined the Washington Gas Company on a “community site walk” along Martin Luther King Jr. Avenue in Southeast, D.C. to discuss and learn more about an area pipe renovation project that will take place starting late Spring 2019. Since mid-March 2019, some residents and business owners may have already noticed initial project markings along the Main Street’s corridor sidewalk and street areas between Mellon, Raleigh and Lebaum. With approximately twenty service replacements within the area, the Washington Gas Company’s community engagement team will be soon scheduled to reach out to the effected individual residences and/or business owners, typically 2 weeks in advance, via a pre-construction letter regarding detailed service replacement and procedures. 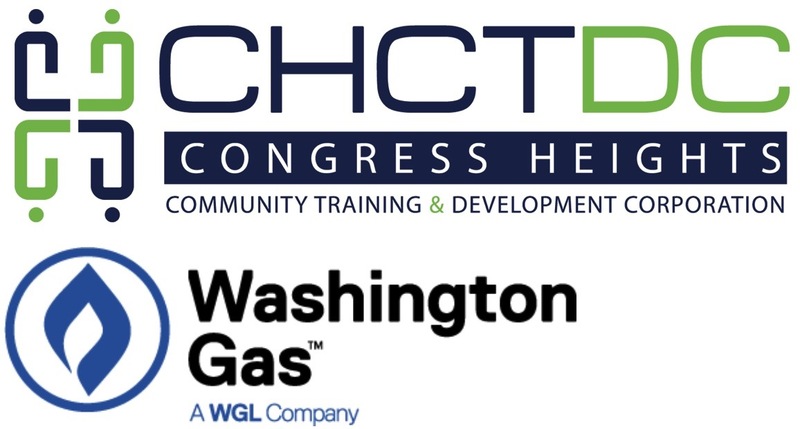 CHCTDC understands the importance of being engaged within our neighborhood; therefore, we aim to help ensure that the Washington Gas Company provides continuous renovation updates to maintain a clear understanding among the Congress Heights community members. This particular project permit includes working hours of 9:30 a.m until 3:30 p.m. WGC’s extended working hours usually involves notifying the District’s Department of Transportation (DDOT) who are also responsible for reporting WGC’s extended construction time and location to nearby emergency route vehicles. The Public Service Commission monitors all of the work being completed by utility companies — this is a 40-year renovation project and the Washington Gas Company submits a plan every 5 years. Phase I ends in 2019 and Phase II plan has been submitted. Schedule delays may vary due to other projects, weather, etc. Will there be a cost add-on? A $.15 increase is part of a “rate recovery” process in which the utility company (Pepco) will be able to be reimbursed for the service work completed. This rate recovery plan is also monitored and managed by the Public Service Commission. Why are the pipes being replaced? Infrastructure in dense urbanized areas are being targeted for replacement which takes hundreds of years; however, overtime this project will be updated and renovated at an accelerated rate and recovery. Maintaining pipe corrosion, transferring and maintaining meters outside of properties, plus keeping up with the city’s growing population are are important reasons for project renovations. Next PostCHCTDC's Careers and Certifications, 2nd Cohort starting NOW!